More and more countries around the world are turning to wind energy to meet their electricity needs. This is good news for well-established wind industry companies urgently searching for new markets. The greatest challenge is having the ability to adapt the turbines and other components flexibly to local statutory and climate conditions. The Global Wind Summit, held in Hamburg from 25 to 28 September, provides an ideal platform for all market stakeholders to share insights into national challenges as well as best-practice approaches to overcoming them, and to find the right business partners. India is an excellent example of an emerging wind market. Energy experts from the huge southern Asian country will be in Hamburg to study their options for driving their nation’s development of wind power. 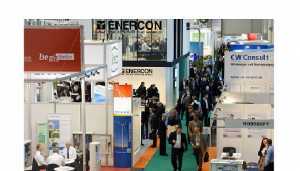 The Global Wind Summit combines the global WindEurope conference with the world’s leading wind industry expo, WindEnergy Hamburg, where 1400 exhibitors from roughly 40 countries will present themselves. A delegation of top-level business representatives with a strong interest in the offshore wind segment featured at the world’s leading wind industry expo will be present at the Wind Summit. The delegation will be headed by Shri Bhanu Pratap Yadav, Joint Secretary, Ministry New and Renewable Energy, and Dr. K. Balaraman, Director General of NIWE, India’s National Institute of Wind Energy. In addition, two Indian professional organisations will bring their networks to the world’s leading wind industry expo, IWPA, the Indian Wind Power Association, and IESA, the Indian Energy Storage Alliance. A programme item on the agenda of the Global Wind Summit will be expressly dedicated to “Doing Business with India”.